For over a century, Samsonite has been a byword for exceptional luggage. From the simple wooden trunk designed by company founder Jesse Shwayder in 1910, to modern cases like Cosmolite and NeoPulse, which combine bold design with cutting-edge technology, Samsonite has been by the traveler’s side, meeting their needs, exceeding their expectations, and anticipating their demands. The global travel industry never stands still, but, through its 108-year lifespan, Samsonite has maintained its focus on quality, functionality and durability to meet the changing lifestyle needs of people on the move. Along the way, there have been many notable “firsts” – first plastic case, first suitcase on wheels, first upright case, first four-wheeled “spinner” case – that have not only helped take the strain out of travelling, but have also been in the vanguard of transforming the industry through innovation. 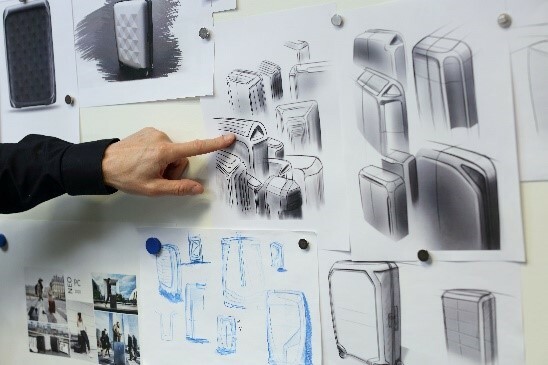 These innovations also resulted in a success story for the Samsonite site in Oudenaarde. The development of the process to thermoform Curv material, a reinforced polypropylene material, resulted in the suitcase Cosmolite, the lightest suitcase available on the market at that time. Weighing only 3.4 kg, outperforming the competition which weighed about 5kg at the time. Through continuous innovations the weight has further dropped to as low as 2.5 kg. The success of this innovation guaranteed the future of the Samsonite site at Oudenaarde and resulted in a strong R&D department. Currently Samsonite employs 34 people in R&D in Belgium. Together with R&D centers in the US and Asia, these teams enable the development of products that cater to the nuances in consumer requirements in each market. Our regional focus on innovation and product development not only allows Samsonite to react quickly to changing demand and evolving consumer tastes, but also sets it apart from other companies operating in the global consumer space and keeps it at the forefront of the industry. The network provided by Catalisti allows Samsonite to find the required expertise and partner up with the most adequate industrial or knowledge partners for initiating open innovation projects. The innovation goals within Samsonite also correspond perfectly within the innovation program of Catalisti regarding sustainable chemistry. 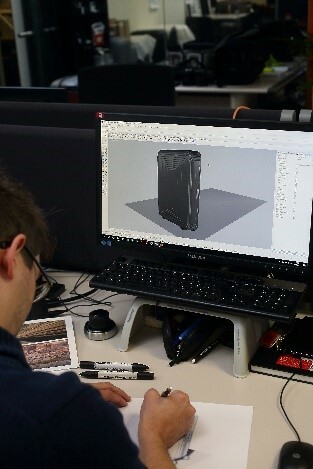 For example designing advanced sustainable products with lightweight properties, Suitcases are made for transport of goods, the lighter they are the less fuel consumption in the car/the plane. 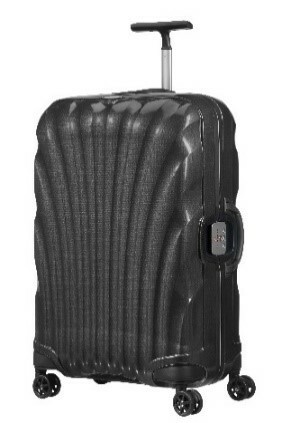 Samsonite is setting the standards for lightweight luggage. It is in the genes of the Samsonite organization to look for innovation opportunities outside of its own walls. That is why Samsonite was one of the founders of Flanders Plasticvision, that later became integrated in the Catalisti cluster. Today, the transition to a circular economy is a crucial next step in whichthe recycling of plastic materials will become increasingly important. Samsonite is already actively working on minimizing waste on production level and incorporating recycling to a certain degree. This year already, Samsonite will bring an ecoline onto the market. It is a line based on the successful S’Cure line, where the shells will consist of 100% regrind material coming from own production waste. Until last year, this material was sold as waste. In the future Samsonite will continue to invest in innovation projects. 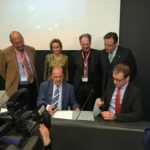 Together with the help of Catalisti, innovation opportunities can be identified, the required expertise of industrial partners or research institutes can be located and the appropriate funding can be requested to cooperate in these R&D projects.